My own delicious take on a classic Turkish style salad Kisir – this version is nuttier, crunchier and dare I say it slightly more exciting due to a whisper of Moroccan flavours. It requires barely any cooking and guarantees a refreshing vitamin hit. Ready in just 15 minutes, this super simple recipe jumps slightly on the fashionable ‘raw’ food bandwagon and is vegan friendly. 1/2 cup of fine bulgur wheat (‘Ince bulgur‘ in Middle Eastern grocery stores). 150g blanched almonds – soaked in boiling water for an hour. Place bulgur wheat in a bowl and cover with boiling water. Cover and leave to absorb. Meanwhile grate cauliflower into a mixing bowl – the florets will crumble so grating takes minimal effort. 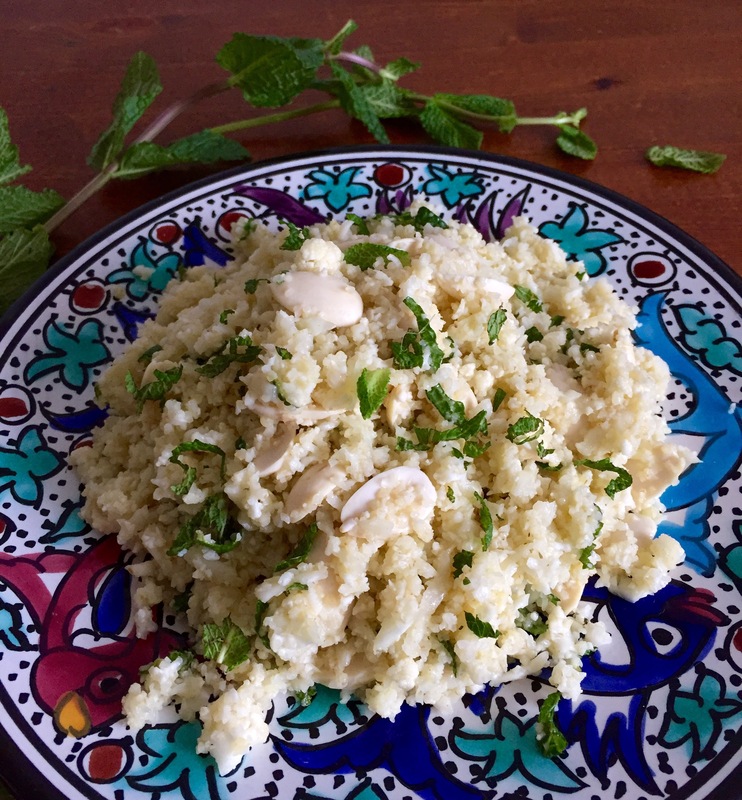 Mix with soaked almonds, cooled bulgur wheat, cumin, lemon juice, olive oil, salt and shredded mint leaves. Salt to taste and serve.